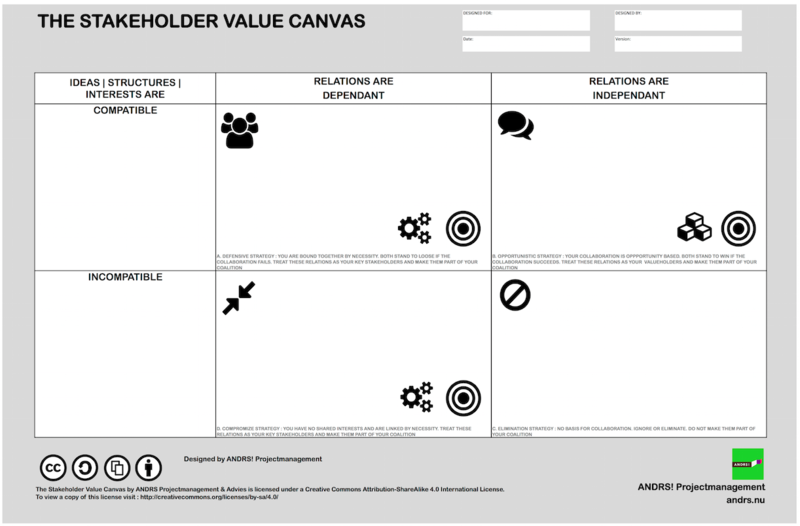 This Canvas helps you map your stakeholders and end-users. It focusses on relations and value. The value the stakeholder has for the project and the value the project has for the stakeholder. 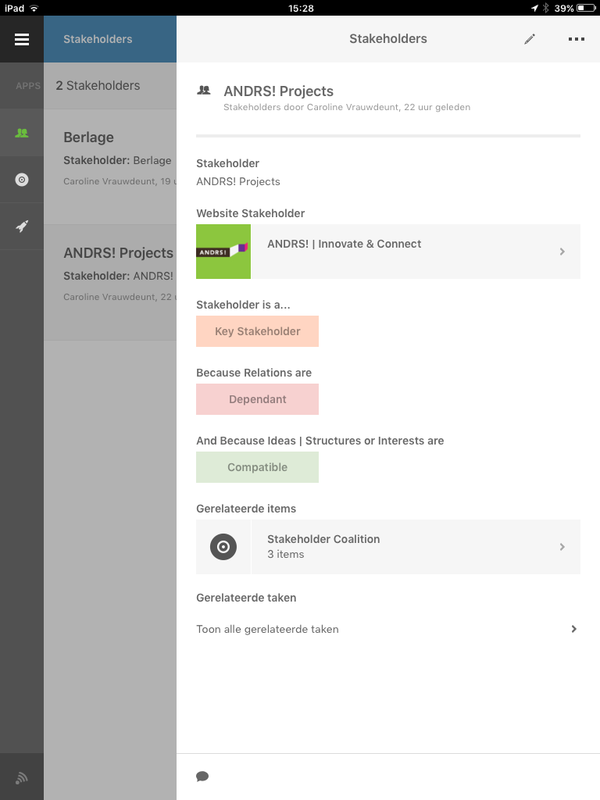 Thus enabling you to categorize your stakeholders in such a way that you can build your project coalition. With our canvas we do not focus on stakeholder risks but on the opportunities that can arise from collaborating. It will give you a negotiator’s perspective to build a robust coalition.